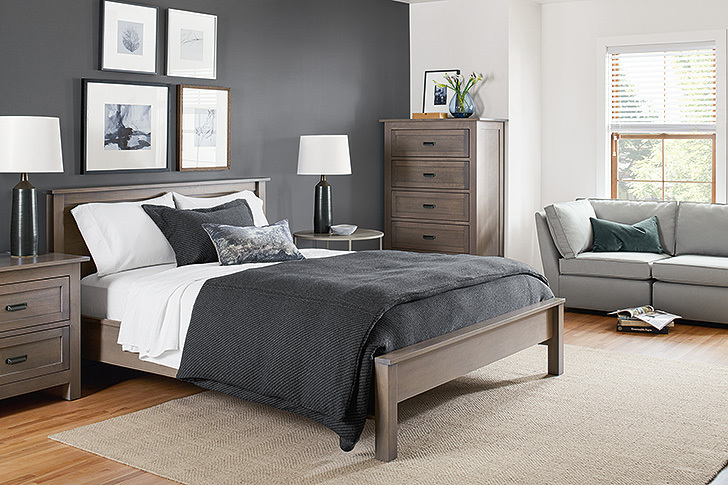 Make your bedroom more functional and more relaxing by borrowing a few pieces from other rooms in your home. Here are three bedrooms that incorporate unexpected furnishings in new ways. The bedroom shown below pulls double duty as a home office. An Aria table with Element Disc™ task lamp creates a perfect spot to enjoy coffee while crossing items off your to-do list. Addison bookshelves keep reading materials close at hand while the bottom doors conceal extra linens, seasonal storage and more. Often overlooked, seating in a bedroom and this space shows how to incorporate it effortlessly into your space. Our Indira ottoman has a kilim-inspired print that adds visual interest and soft texture. If you don’t need an entire dresser, an Alden bench offers ample storage plus seating. Finally, our Chloe leather chair is the perfect spot to put on shoes or wait (patiently) for the shower. 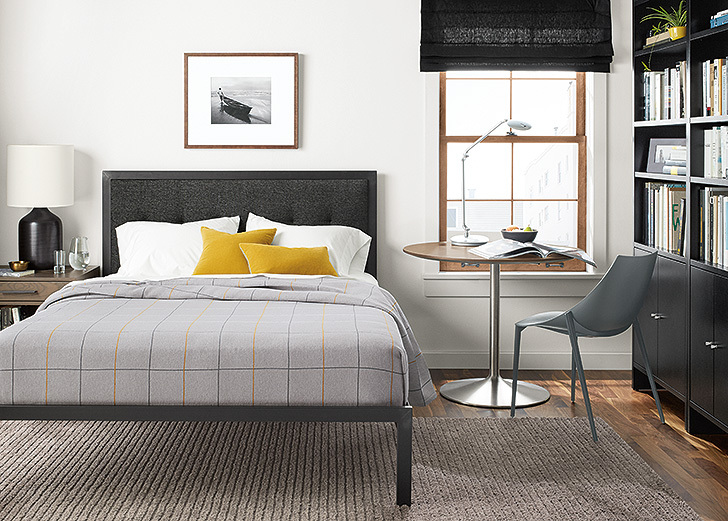 Let us help you create the bedroom of your dreams. We offer free design services to help you with any size project, from choosing throw pillows to floor planning an entire space.